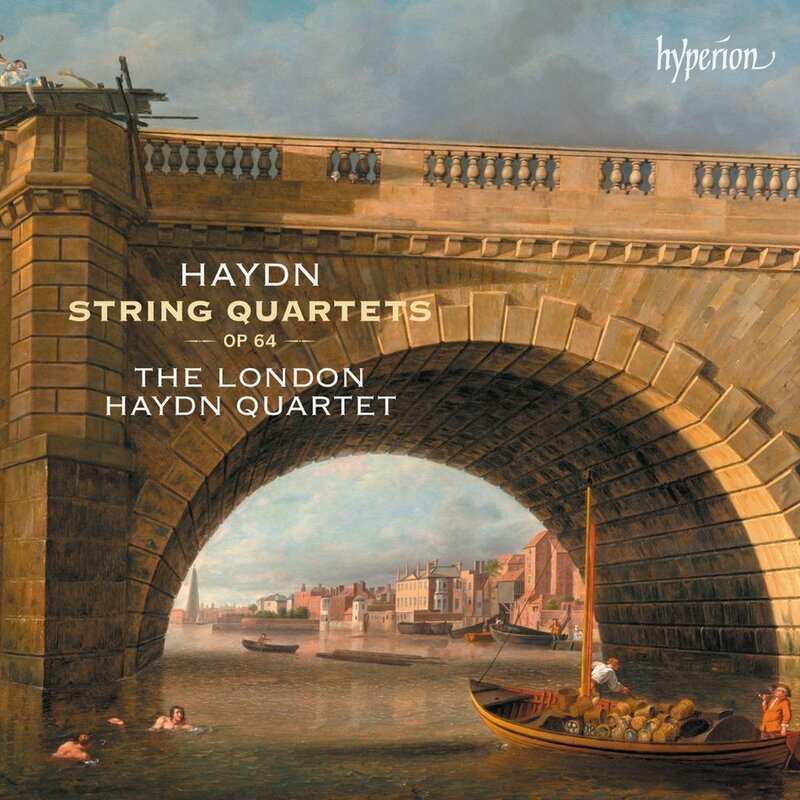 The London Haydn Quartet continues its commanding, historically informed survey of the Haydn quartets with this release of Op. 64, known as the London quartets. This release comes hard on the heels of the album by fellow Brits the Doric Quartet – recently reviewed in Limelight with a five-star rating – and comparisons, though odious, are irresistible. The covers of the recordings say it all – for the Dorics the foursome in sharp clothes posed against a brutalist concrete background, somewhere on London’s South Bank I would guess, and for the LHQ a detail from an 18th-century painting of Westminster Bridge. The LHQ uses the Forster edition and the liner notes reproduces its frontispiece which designates them as Op. 65. They were redesignated Op. 64 in the later Pleyel edition. The LHQ has a new violist, John Crockatt, who replaces founding member James Boyd. The group, led by Catherine Manson, has lost nothing in the transition, with that wonderful full gut string sound and faultless intonation intact. Second violinist Michael Gurevich and cellist Jonathan Manson already have a seemingly telepathic understanding of the many twists and turns of these gorgeous works, and Crockatt slots in with ease. This is a commanding and faultessly balanced survey of the set, wonderfully played and with a particularly full and rich presence thanks to the Hyperion production team. But for all that, at times it doesn’t have the saucy panache of the Dorics.